Statistics South Africa (Stats SA) conducts a monthly survey of the retail trade industry, covering retail enterprises. This survey is based on a sample drawn from Stats SA’s 2017 business sampling frame (BSF) that contains businesses registered for value added tax (VAT). 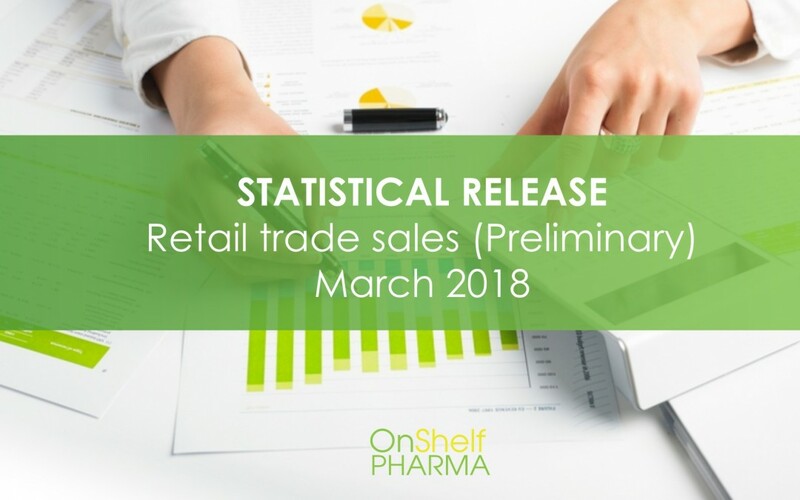 This is the preliminary trade sales for the first quarter of 2018. Measured in real terms (constant 2015 prices), retail trade sales increased by 4,8% year-on-year in March 2018. The highest annual growth rates were recorded for retailers in 3 categories, including pharmaceuticals and medical goods, cosmetics and toiletries. Download the document here!